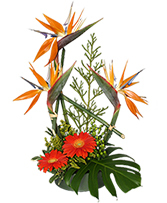 This is an impressive tropical arrangement to be the "Star" of the day. 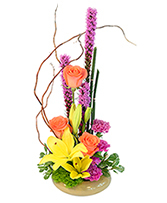 Lovely paradise arranged in a high style. 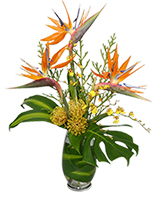 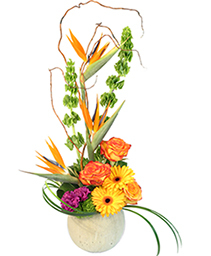 Birds of paradise and dendrobium orchids and nice mixed in colorful. 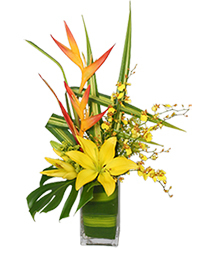 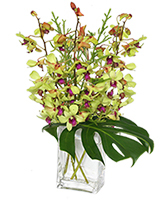 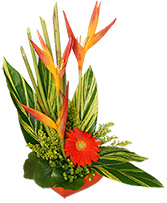 Give us a 3 to a week notice to order these tropical flowers fresh for you. 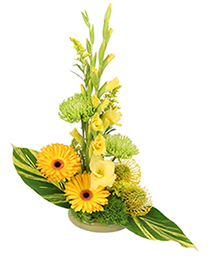 This beautiful high style will send a ray of sunshine. 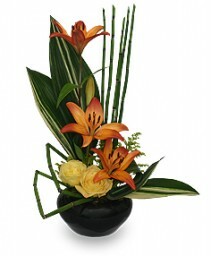 Please give us a week notice if possible for special flowers requested in this arrangement. 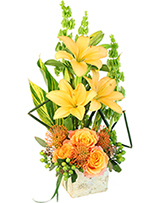 Show your love and appreciation this This eye-catching arrangement is sure to brighten their day, as well as their desk at home or the office. Call AUTRY'S 4 SEASONS FLORIST or order online for that special person in your life! 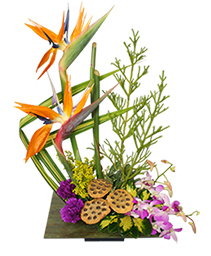 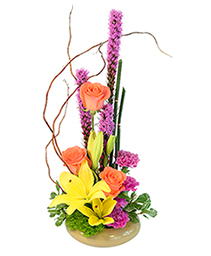 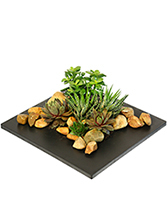 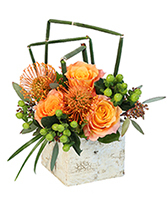 A great way to send flowers in a high style shape with your everyday long lasting flowers. 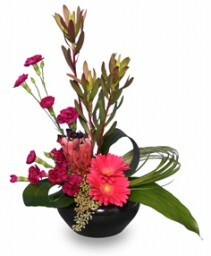 It will be definite eye catcher.